You and your employees are a team. Branded clothing, whether uniforms, oven gloves or aprons; these radiate professionalism and quality. A passion for advertisement as well as a collective attitude is easily achievable through our promotional clothing offered here at allbranded because we realise that image is a huge part in business and plays an enormous role in the acquisition of new customers. Much like visiting a grocery store, it allows for easy identification for face-to-face customer enquiries as well as employs a look of effectiveness and pride in services offered. The same stands true if making use of branded clothing that is voluntary in nature based in work occasions, exhibitions or else; because you are going the extra mile and will find it far easier to attract attention of visitors. Impression is everything and personalised clothing from our promotional bar and gastronomy items category allows room for not only advertise your business but to up the physical appeal of your company and staff itself! Not much different from work attire in contrast to casual clothing; these portray positive traits. If these promotional clothes aren’t what you are looking for, do browse our promotional products variety and check out our personalised shirts (including polo shirts), hoodies and jackets (fleeces or otherwise). Whether it is an image of teamwork and a collective or simple organisation; there is nothing to lose in investing in apparel that you can wear anywhere and anytime you to find an opportunity for promotion. With specially printed clothing ensure that your employees leave your customers with a neat impression. Combine the available range of colours we offer and extend your brand as far and wide as possible! By making use of a harmonious overall picture of your employees, you will attract customers to a business that is invested in teamwork and the image it projects. A cheerful compatible team gives a particularly positive impact on your customers as it builds trust in how your valued staff is treated and may very well reflect your excellent appreciation of customers themselves. Other than for your own employee promotion, these also make excellent promotional gifts to potential customers, to ensure that your customer or guest attain a good impression of your brand. We stock the santa apron which not only get the festive mood going but your brand loyalty too! So whether you are serving at an exhibition booth, enjoying a corporate day out or are just looking to make these available to your employees; its uses are limitless. Due to the great advertising space, you can easily take advantage of colour contrasts and eye-catching variants to make sure that you get the most from the embroidered workwear. We also recommendcustom printed tableware and printed glassesfor further giveaways. Workwear or corporate wear printed with designs give way for a positive perception for your customers about your business. Make use of our embroidery and make logo not only eye catching but stand the test of time through their common and universal use. These forms of promotional garment work as a discreet impression-manner in the most non-intrusive but persuasive manner. For more promotional merchandise, check out our personalised shirts, hoodies and jackets (fleeces or otherwise). Embroidery offers many possibilities for the effective use of advertising. allbranded suggests that you take advantage of these opportunities through giveaways, exhibitions and corporate retreats. 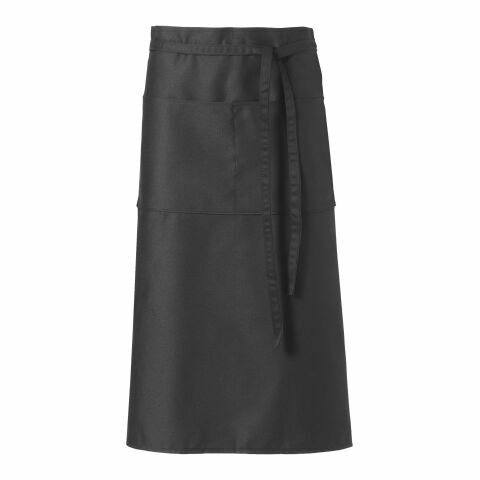 You will find just how great the power of presentation can be through our quality selection of aprons, oven gloves and more!